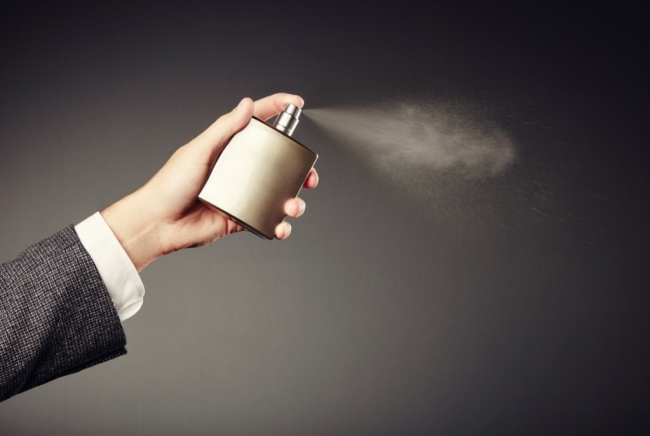 How Does SAW Gas Sensors Response in Real Time? Gas sensors play an important role in many applications, and they have been extensively developed during the past few decades. Surface acoustic wave (SAW) sensors are widely used because of high sensitivity, small geometrical dimensions, relatively simple electronic setup, and generally low production costs. 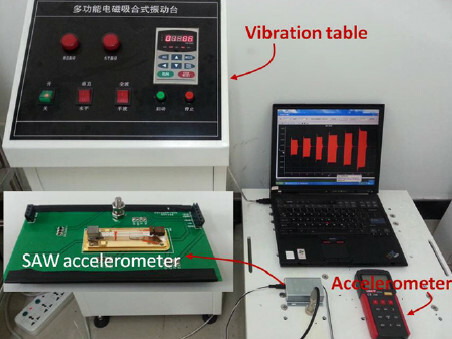 Previous researches on SAW sensors focused mostly on the steady-state response, which means the relation between the detected gas concentration and the measured sensor output after a long stabilization time. However, the intuitionistic simulation model for sensor response in real time is still needed. 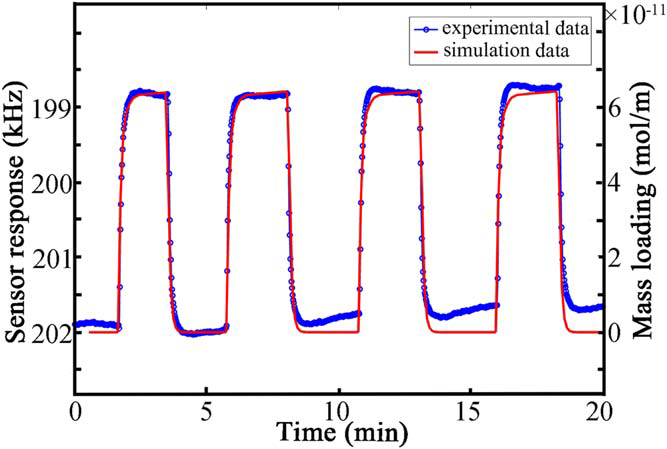 Recently, researchers from the Institute of Acoustics (IOA) of the Chinese Academy of Sciences established a simulation model to describe the real-time response mechanism of the SAW gas sensors. The real-time model would help to visually analyze the factors affecting the sensor response and optimize the sensor parameters. The study was published online in Japanese Journal of Applied Physics. This model was based on the perturbation theory, the Langmuir formula, and the fundamental transport equations. According to these theories, the mass loading curve was obtained by using the finite element method with COMSOL modeling software. In the research, the SAW frequency response was proportional to the mass loading on the surface of a SAW device. Therefore, the frequency response curve of the SAW gas sensor in real time was simulated. By configuring a SAW gas sensor coated with zinc oxide quantum dots, an experiment was performed to measure the frequency shifts caused by adsorbing and desorbing dimethyl methyl phosphonate. Excellent repeatability was observed in gas sensing experiments, and the simulation curve was consistent with the experimental results. The simulation in this work and the discussions about the adsorption-desorption behavior of gas on the SAW sensitive film would benefit the realization of higher performance SAW gas sensors. In the following research, researchers will exploit this model to analyze the factors affecting the response of the SAW gas sensor and optimize the sensor. Researchers from the Institute of Acoustics (IOA) of the Chinese Academy of Sciences have introduced the unit P-matrix and its associated cascading to analyze surface acoustic wave in two-dimensional piezoelectric phononic crystals.